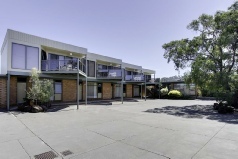 Comfort Inn & Suites Emmanuel is located on The Esplanade at Lakes Entrance, 5 minutes’ drive from Ninety Mile Beach. All rooms have a desk, a refrigerator and tea and coffee making facilities. Each room has a bathroom with a hairdryer and free toiletries. Some rooms also have a spa bath or water views. There is satellite TV and free WiFi. You can relax on the sun deck, head to the pool or enjoy a meal in the covered barbecue area. The property also offers a children’s playground, a guest laundry and parking for boats. Chimes Restaurant is open for breakfast 7 days a week. The Floating Dragon is located opposite the hotel, and offers Asian cuisine. There are also a number of restaurants within a 5-minute walk. 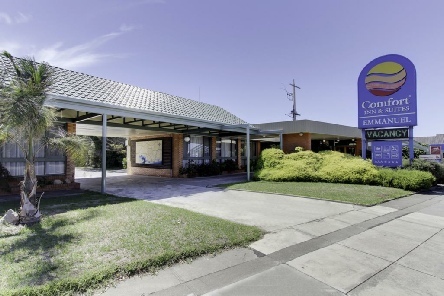 Comfort Inn & Suites Emmanuel is situated in Lakes Entrance, and is the perfect, affordable hotel room for couples or families, with a warm, inviting atmosphere. 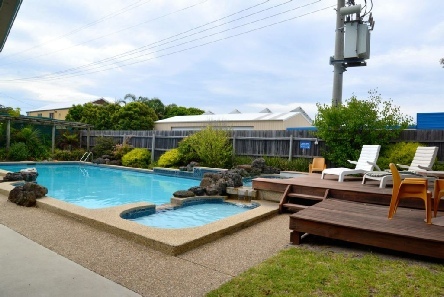 2019 package holidays to the Comfort Inn Emmanuel Lakes Entrance Prices are per person based on two sharing, including flights and accommodation, and are subject to availability.